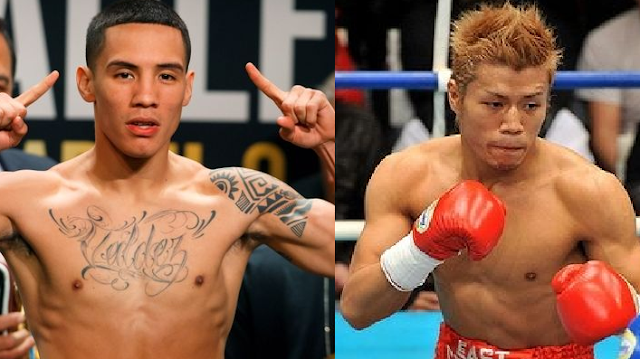 Mexican WBO World featherweight champion Oscar Valdez is set to defend his title against the Fil-Japanese boxer and ranked no. 1 contender in WBO featherweight Hiroshige Osawa on November 5, 2016 at Thomas & Mack Center, Las Vegas, Nevada, USA. Oscar Valdez is a 25 years old undefeated boxer from Nogales, Sonora, Mexico. He has a record consisting of 20 wins including 18 big victories by way of KO. Valdez will defend his title for the first time. He defeated Matias Carlos Adrian Rueda last July 2016 and got the vacant WBO World featherweight title via TKO. Meanwhile his opponent, Hiroshige Osawa is a Filipino-Japanese 31 years old boxer from Osaka, Osaka, Japan. Osawa is currently ranked no. 1 in the WBO Featherweight ranking, he is also a hardhitting boxer dropping down all his last 8 opponents. Osawa is a former OPBF featherweight champion and the current WBO Asia Pacific featherweight champion. Hiroshige Osawa mother is a Filipino.